What would a new month be without recapping my favorite things from April?? I love making these little videos and I hope you enjoy watching :) See more below!! You look absolutely stunning in this video!! Obsessed with those kate spade sunglasses, oh my god! 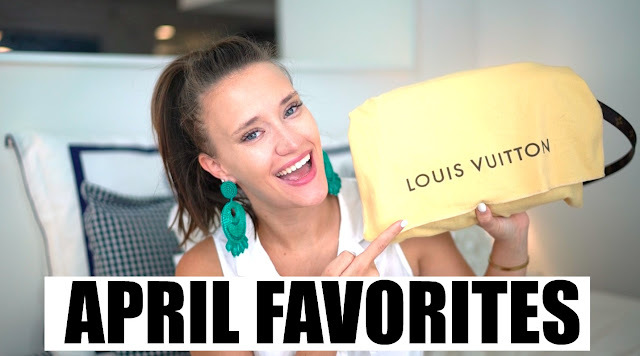 Your monthly favorites are always so fun! Quick question regarding the Anthro top you are wearing: do you find that it stays fairly wrinkle free? Last summer I bought a very similar top from Old Navy but it just wrinkled non stop (like after a minute of wearing it). Sooo. I'm on the hunt for a similar style and the one you have on looks great! Or maybe you know of other options? Thanks for all of your help and sharing!